This was a great game. We played well and clean. It just felt really right and natural to be scoring and pitching and winning. It was just nice. Pedroia doubled in the first and scored on a wild pitch. With one out in the third, Nava doubled, and Papi and Napoli both walked. When Carp drew a third straight walk, Nava came home. Then we hit four straight singles in the seventh to score another run; Bradley, Pedroia, Nava, Papi, done. And one double play later, another single by Carp scored two. 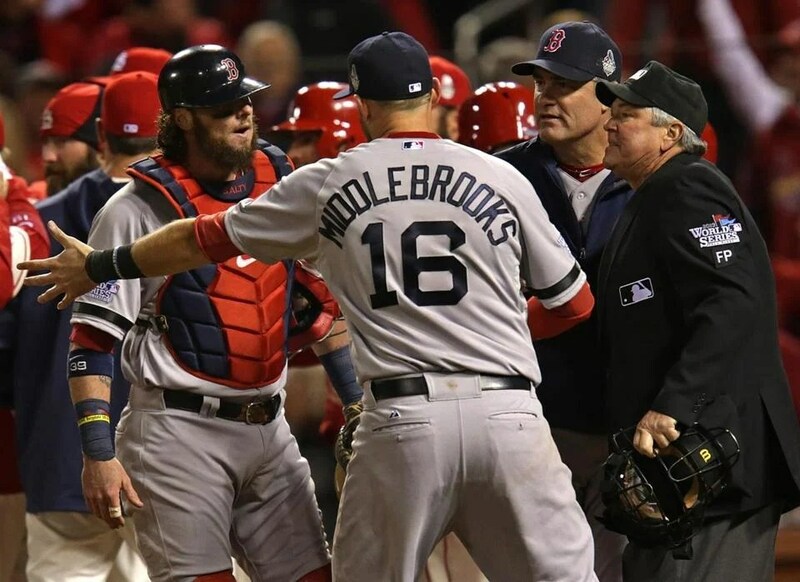 As one last statement of victory, Middlebrooks led off the eighth with a single and scored two outs later on a single by Pedroia. Lester finally cracked in the fifth. With two out, he gave up one run thanks to a single-single combination plus a two steals thrown in. In the end, it was just the run in all seven glorious innings he pitched. He gave up five hits and two walks, and he struck out eight. And he was fantastic. Tazawa came on for the seventh and gave up a double followed by a groundout. Then he gave up a two-run home run. And then Uehara came on. And then the game ended and we won, 6-3. So it was pretty ordinary as wins go, and we’ve been very fortunate this season to have had our fair share of those. But winning, while awesome, wasn’t even the highlight. The highlight was that we now officially own the AL East. That’s right. One day after clinching our playoff berth, we also clinched the division. It’s our first division title since 2007, and it’s been a long time. But if it has to do with 2007, I like it. It’s ours. Yes. Let the champagne rain. Now that’s what I call winning. Let’s get this done! We started our series against the Yankees on Friday, and we’ve won it. That is, the least way we can describe it is having won it. Because really, we swept it. It was just one of the most beautiful things to see. Sweeping the Yankees? Yes, please. Friday’s game was a game of bookends, so to speak. We won, 8-4, because we scored four runs in the first and four runs in the eighth and no runs in between. 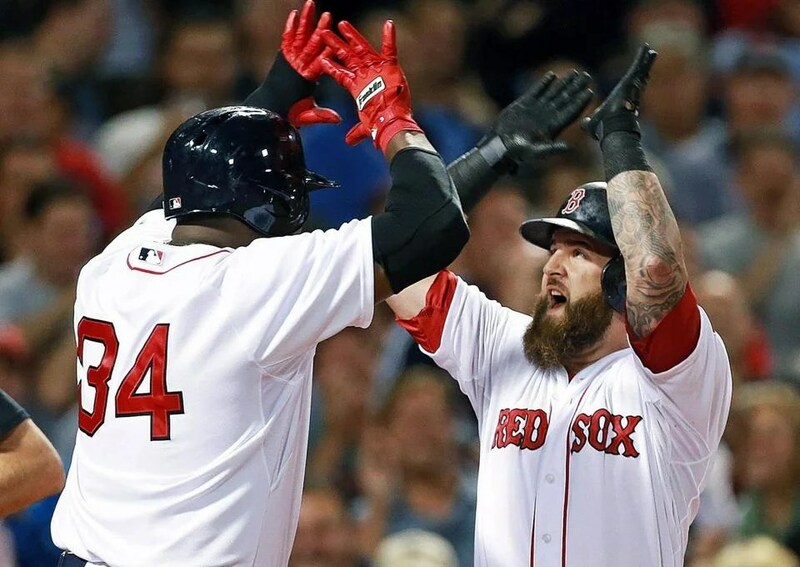 In the first, Pedroia singled, Victorino flied out, Papi doubled, Pedroia scored on a groundout by Carp, Papi scored on a single by Nava, Salty walked, and Nava and Salty both scored on a double by Drew. But the eighth, I have to say, was my favorite. 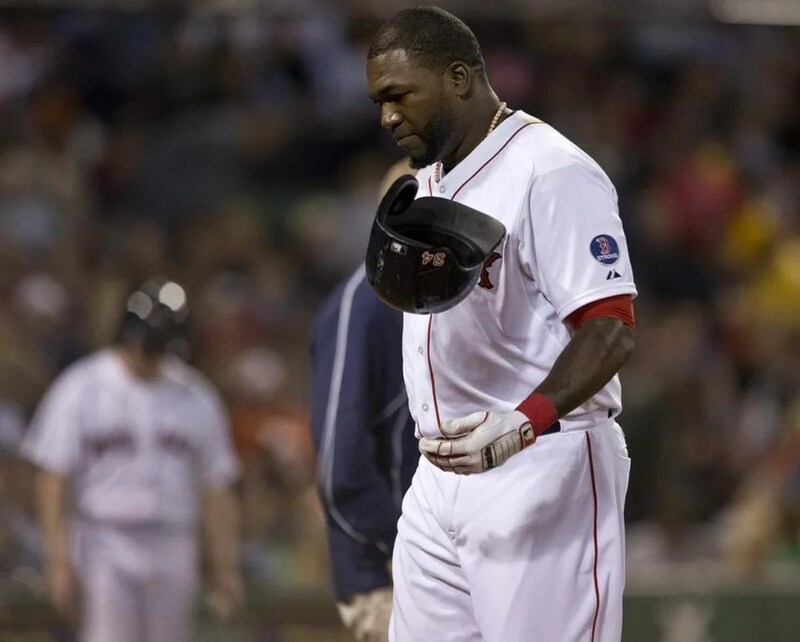 Victorino singled, Papi got hit, and Gomes walked to load the bases. Nava struck out. And then it was Salty’s turn. He took a changeup for a strike. And then he got a fastball that looked really good. For him. Not for the pitcher. The pitcher didn’t stand a chance. Salty uncorked a massive swing on that ball and sent it beyond the right field fence for a grand slam. It was epic. And it came against the Yankees. That’s about as good as it gets. Meanwhile, Lackey gave up four runs on seven hits in six and one-third innings. He gave up no walks and struck out three. Lackey gave up a solo shot to lead off the third. Then he gave up one run on a double-sac fly combination in the sixth. He had the bases loaded with two out in the seventh thanks to two singles and a walk, and he gave up a two-run double that obviously could have been much worse. Workman got the last out of the seventh, Tazawa pitched the eighth, and Uehara pitched the ninth. Saturday’s win was more modest, but it was a win nonetheless. 5-1 is a pretty satisfying score. And Lester was, without a doubt, the star of the show. He pitched a full eight innings of one-run ball and gave up only three hits and two walks while striking out five. He threw 116 pitches, eighty of which were strikes. He went one-two-three in his first three innings and gave up his only run in the fourth because he gave up a triple to lead it off, and it turned into a run on a groundout. So even in the inning during which the one blemish of his performance occurred, he still managed to derive an out from it. He ended up facing five in the fourth due to a walk, and he faced four in the fifth and sixth. He went one-two-three in the seventh and issued another walk in the eighth. Yeah. Master. Morales pitched the ninth. So it was really, really nice that we gave him run support. Napoli led off the second with a single and scored on a groundout by Middlebrooks. Pedroia led off the third with a single and scored on a double by Papi, who scored on a single by Gomes. Ross led off the fourth with a single and scored on a single by Victorino. And Napoli led off the fifth with a walk and scored on a sac fly by Nava. Clearly the leadoff was very good for us. And last but not least, we won yesterday by a score of 9-2. In a way, it was a fitting way to contribute to the roast of Mariano Rivera, which, if I may say so, was hilarious and seemed to be taken in the correct stride by all. 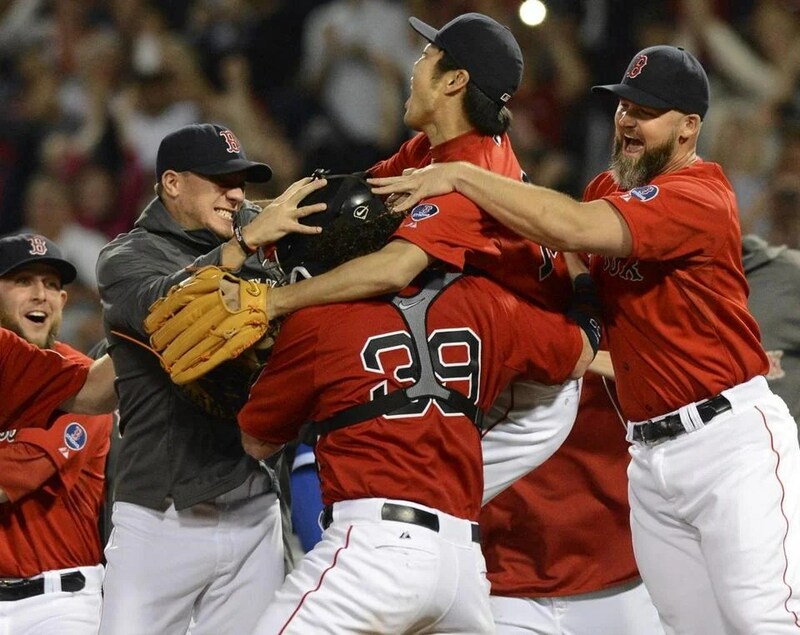 The Yanks probably thought they had Buchholz when they were the first to score. It was only one run in the first, but scoring in the first inning can do a lot to boost your confidence. 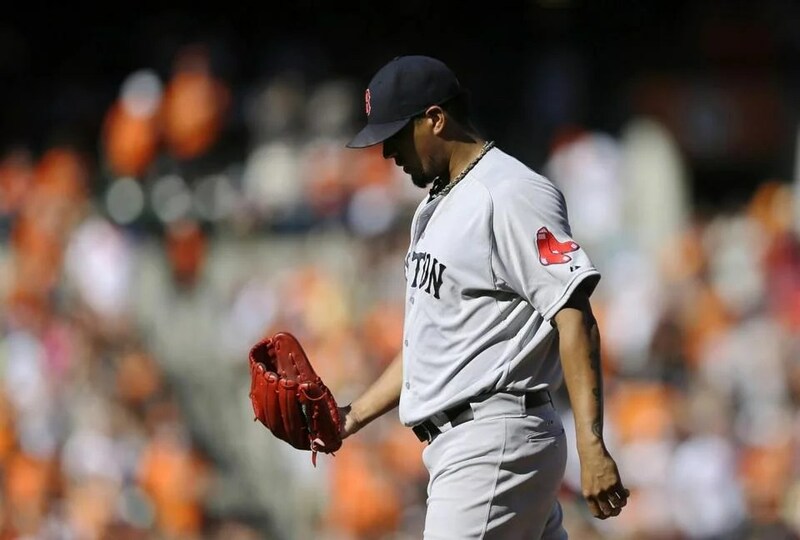 But it was one of those earned unearned runs; Buchholz issued a walk and then himself made a throwing error on a pickoff attempt, and then the runner scored on a groundout. So it was Buchholz who made his own fielding error, so it’s kind of funny to call that unearned. All told, he gave up just the one run on two hits in six innings, walking four and striking out three. Thornton pitched the seventh, Breslow pitched the eighth, and Webster pitched the ninth, during which he gave up a run thanks to a walk-single combination that, in the grand scheme of things, really didn’t matter at all. Fortunately, we too scored in the first inning. But we scored more. Pedroia grounded out, and then Nava doubled and scored on a single by Papi, who moved to second on a wild pitch. And then Napoli lit up the place with a two-run shot all the way to deep, deep center field. And we added insurance in one of the coolest ways possible in the fourth. Napoli walked to lead off but was out in a force by Salty. Salty moved to second on a passed ball and third on a groundout by Drew, and then Bogaerts walked. So we had runners at the corners. And then it was Bradley’s turn to bat. And suddenly, cool as ice, Salty just slides on into home. Yes. That’s right. Jarrod Saltalamacchia stole home. It was epically awesome. It was so polished and clean, like he does it all the time. I’m telling you, he timed it perfectly, and there was nothing the Yanks could do about it. It was absolutely perfect. He nailed it right on. Wow. It was awesome. And we weren’t even done. 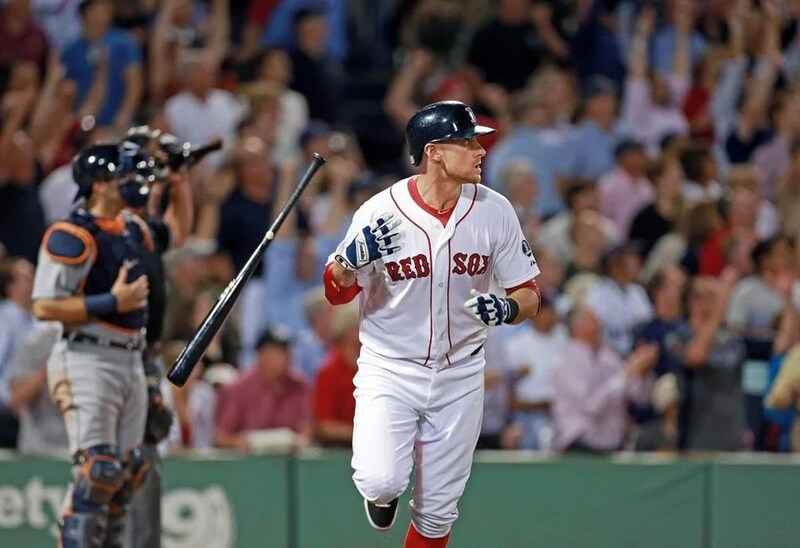 In the fifth, after Pedroia walked, Nava doubled, and Papi walked intentionally, Carp got hit by a pitch, and with nowhere to go, Pedroia just had to score. In the sixth, Bogaerts doubled and Pedroia walked, and each scored on a single, the first by Nava and the second by Papi. In the seventh, Bogaerts singled, Bradley got hit, and both scored on a single by Pedroia. In other news, the Pats are really starting the regular season off right, having secured another win, albeit a close one, against the Jets, 13-10.